After a long pause I’m back. 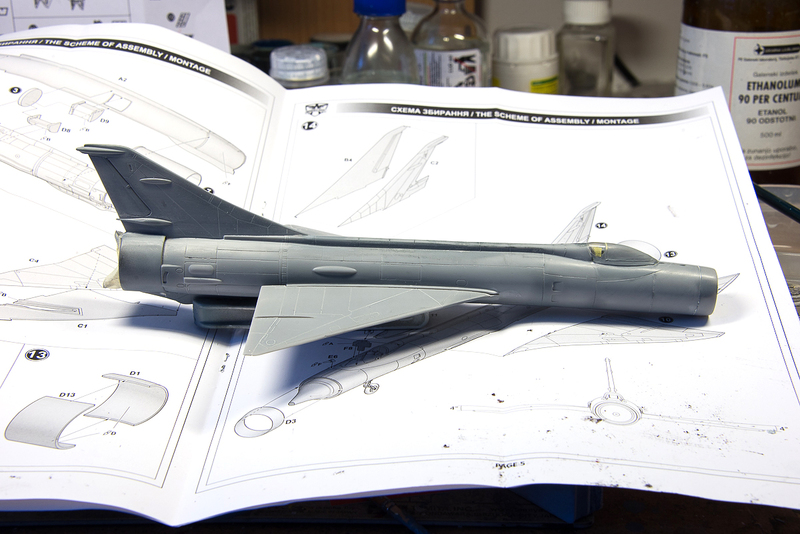 Long heat wave and no air conditioning in my apartment and a week long holiday prevented any serious model building. Those who follow my blog have also probably noticed my other project, the USS Cole. 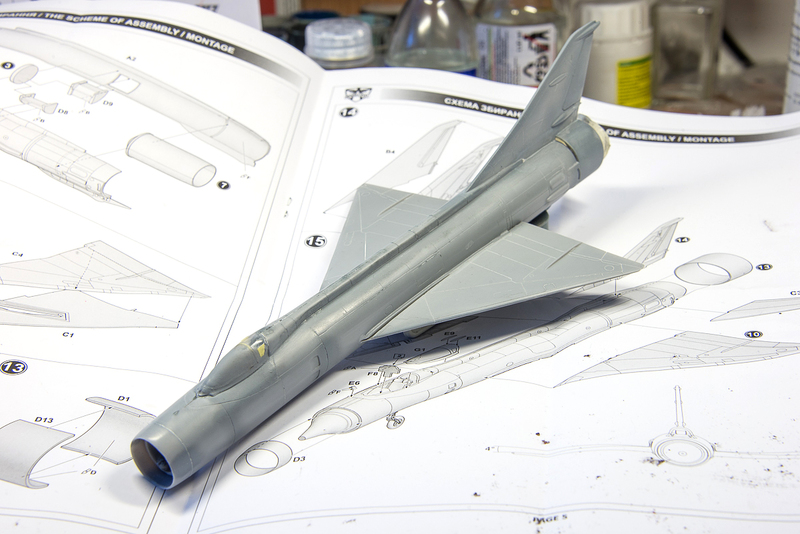 While I can work on two aircraft kits at the same time without much problem, the ship gave me so much to think about, that I’ve decided to put it aside until I finish this MiG monster. As you can see, I was quite battling it and the fight ain’t over yet. 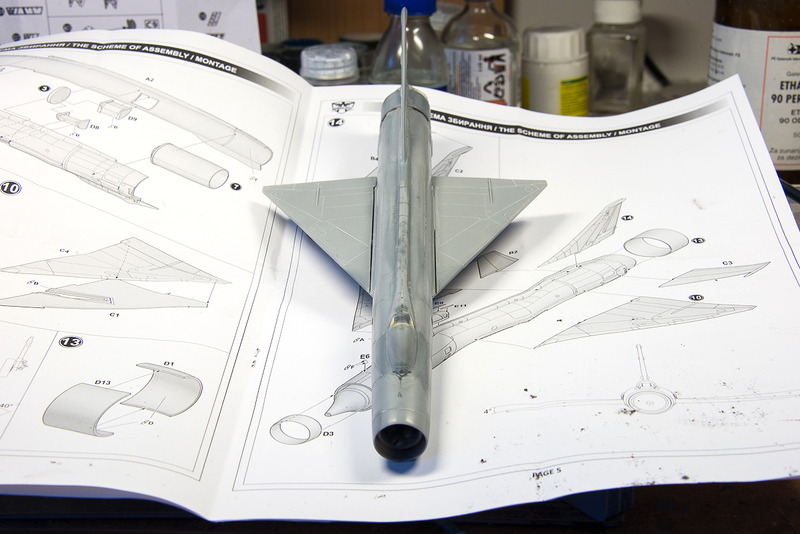 Joining fuselage halves, revealed a step on the bottom side, which took quite some time, putty, sanding sticks and patience to remedy. 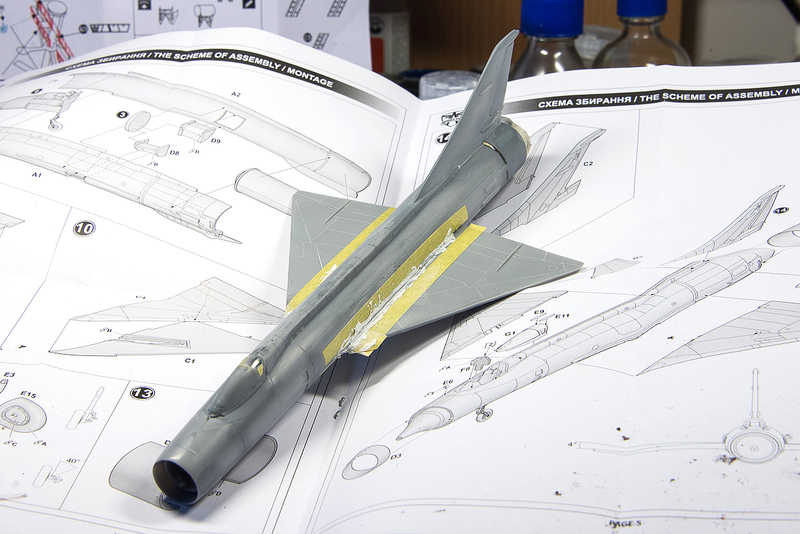 Also at the join of the halves at the back of the canopy, I couldn’t get the mating surfaces together. To further complicate things – when the canopy was dry fitted, it was too high, so the whole area required quite some reshaping. 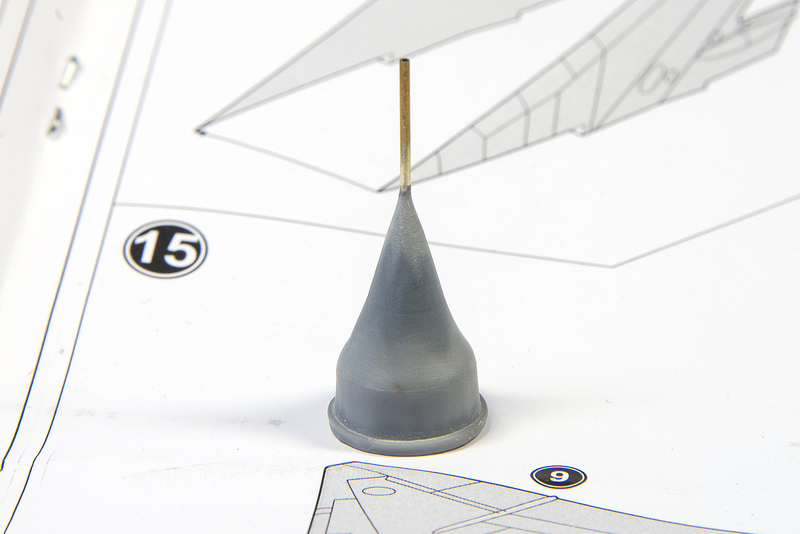 You’ve seen the nose cone before – well puttied and sanded it looks much better than before and the Albion Alloys brass rod definitely looks better than the plastic one from the kit. Neat idea to tape of the area where you’re filling the gaps. Don’t think I’ve seen that before. Very useful not to mess up too much of the surrounding area.